To increase visibility and awareness of issues associated with river restoration. To engage directly with practitioners and relevant stakeholders in the development of the applications and tools delivered by the project. 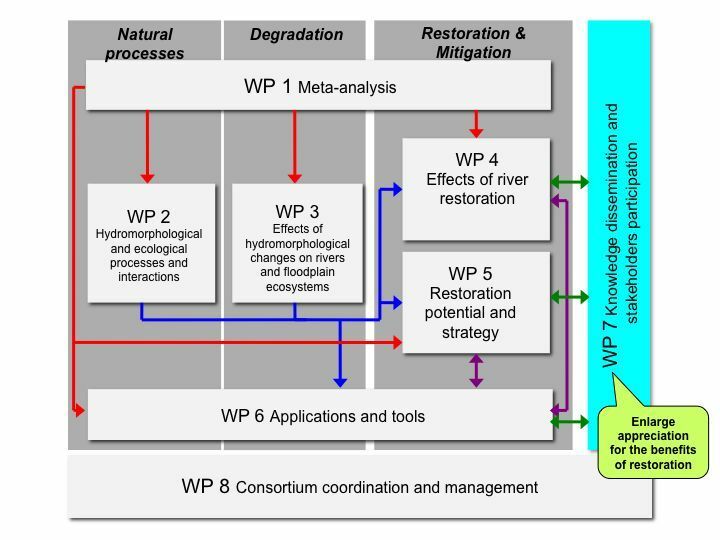 To provide policy-relevant documentation and to advise policy makers and practitioners on cost-effective, sustainable measures to improve river ecosystems. Leaflets: English , French , German , Italian , Spanish , Czech , Danish , Dutch , Finnish , Polish and Swedish . D7.7 Three policy briefs and maximum three policy discussion papers (the timing for 3rd policy brief will be defined in due course; the timing for the policy discussion papers will be defined on the basis of needs of key policy target groups).